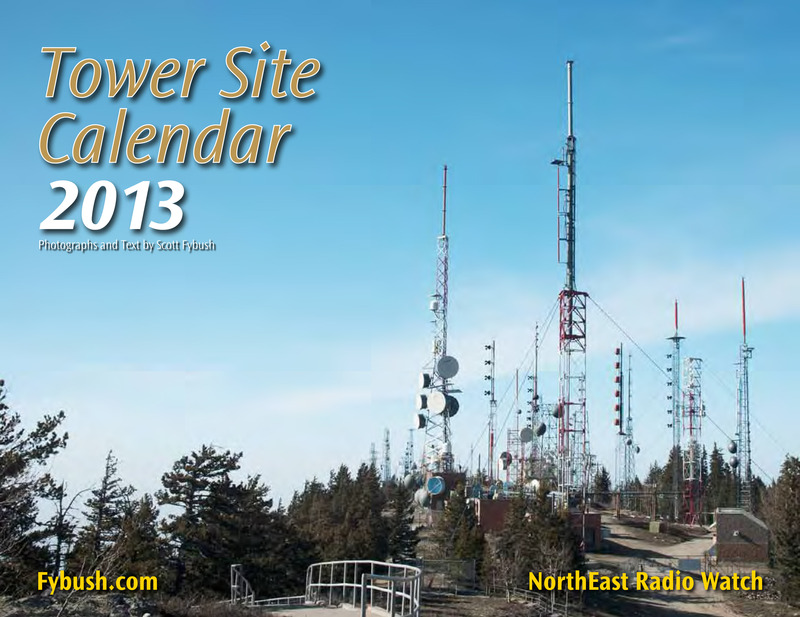 Our preview of the brand-new Tower Site Calendar 2013 (just back from the printer and now shipping!) 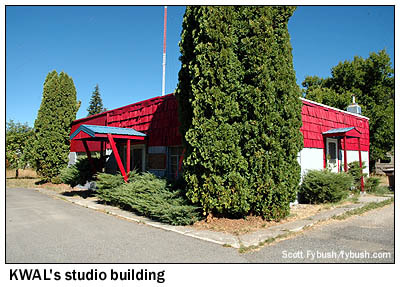 continues this week with another one of the sites featured in the new calendar: KWAL (620) in Wallace, Idaho. We visited KWAL during “Big Trip 2007,” a huge loop that took us from Salt Lake City up to central and western Montana, all over Idaho and into bits of eastern Washington state, and eventually back to Utah. One of the longest driving days of the two-week trip took us from Missoula, Montana 200 miles west to Spokane, Washington, then south another 100 miles or so to the Lewiston, Idaho/Clarkston, Washington market – and along the way, it produced some of the most memorable visits of the trip. The most memorable of them all – possibly one of the most unusual sites we’ve ever encountered in hundreds of thousands of miles of tower-site driving – came about 15 minutes after we crossed the Montana/Idaho border heading east on I-90. It’s there, in the small town of Osburn, Idaho, that the interstate actually crosses through the middle of an AM directional array. 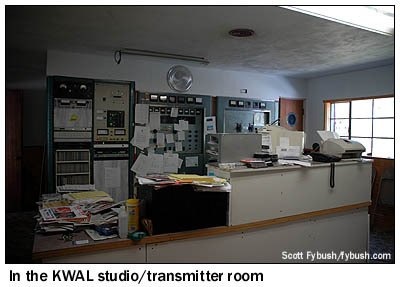 In the main studio, the old GE transmitter is now out of commission, and there’s a little BE tucked in just to its left to power KWAL’s 1,000 watt signal, which is non-directional by day from the tower out behind the building and quite directional at night, using both towers to create a figure-8 that pumps the power southeast and northwest, protecting older 620 signals in Portland and Phoenix and Regina, among others. 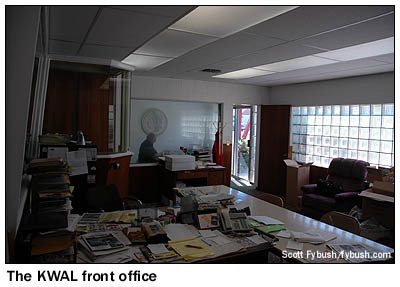 Today, KWAL runs an locally-automated country format, with its small staff devoting most of their time to ad sales and gathering local news. But we’re not really here for the programming, are we? 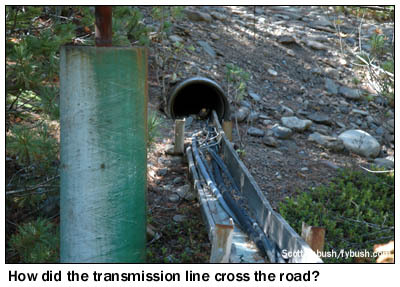 No, our real mission here is to see this unusual directional array and to learn the story of how it ended up like this, and here it is: the town of Osburn is tucked into an extremely narrow east-west canyon between tall mountains to the north and south. 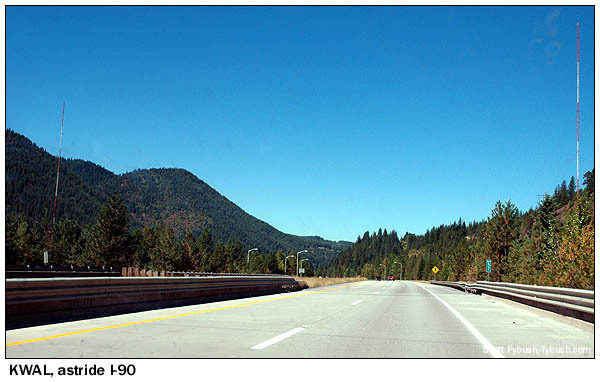 When I-90 came through here, there was literally no available land where KWAL could move that would still allow it to aim its pattern up and down the valley to hit its city of license, Wallace, five miles east, and nearby Kellogg, a few miles west. That must’ve been a real trick to preserve the ground radials for a station that low on the dial. Nudge, nudge, wink, wink.